Spring is the perfect time to clean curtains and blinds to make the home clutter free. This will not only freshen up your home and welcome in the season, but also will help you to protect any allergy sufferers in your home. Here are some easy curtain and blind cleaning tips for your home cleaning task. Curtains and fabric blinds needs to be cleaned during or before spring since the dust and pollens make their way through open windows. Whenever someone opens or closes the curtains, the agitation is enough to send these pollutants inside of the surrounding air. This may add to the woes of seasonal allergy sufferers, especially tough time from September to December. 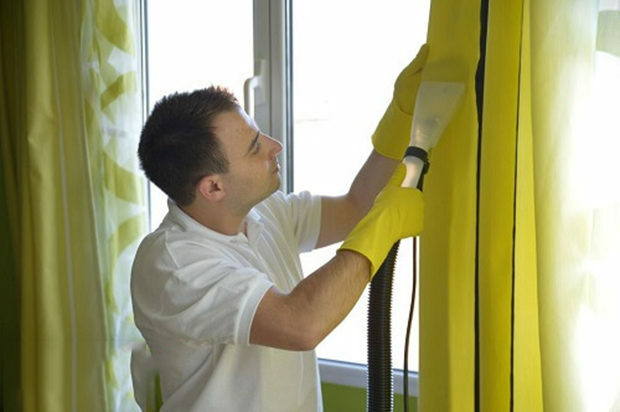 Hire professional curtain cleaners or have the help of experts. Having your curtains professionally cleaned it is advised otherwise you can do it yourself too. Here are a few ways you can clean your curtains at home. The best way to stay on top of the dust is to give your curtains a good shake out every time when you clean the rooms. 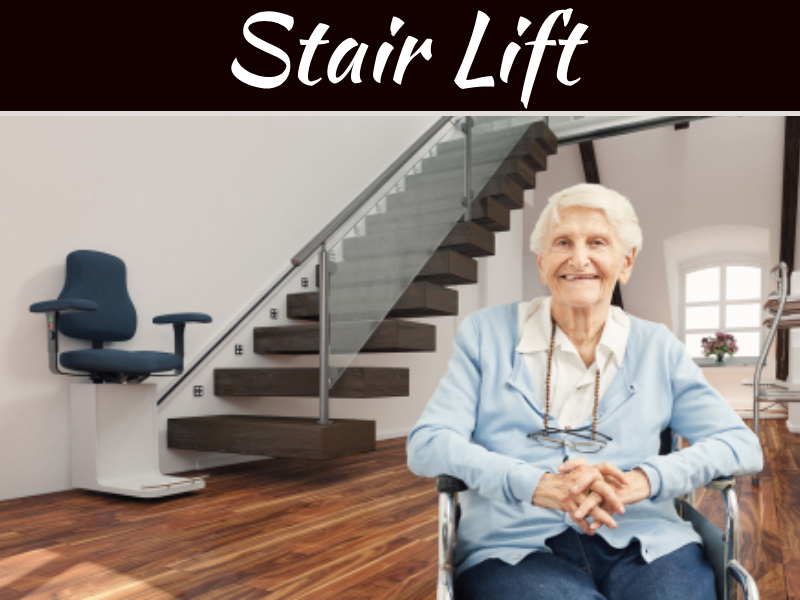 You don’t need to remove them from the rail, simply give them a good shake to dislodge any dust and then vacuum the room as you normally do. Once in a quarter or twice in a quarter, take the curtain outside and give them a good shake. You can also run your curtains through your tumble dryer on the cold setting to get rid of rust, dust, pollen and pet hair. Re-hang them afterwards to prevent wrinkling. 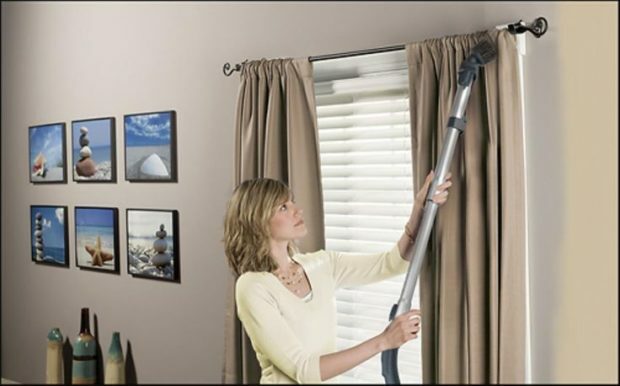 Use the brush attachment on your vacuum cleaner to get rid of the majority of the dust on your curtains. It’s a good idea to pay special attention to the top of the curtains, including the rail and hooks, as this is where most of the dust and spider’s web will accumulate. Don’t forget to do the backs of the curtains as well. 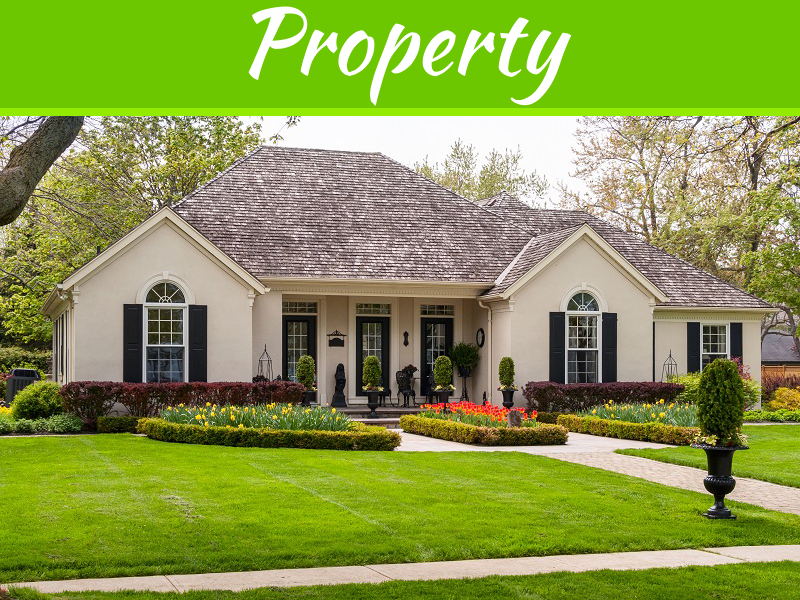 They will be occupied to collecting pollen and dirt blown in through the open windows. Is your curtains are machine-washable? Many fabric curtains can be run through the washing machine, much delicate fabrics should generally be hand washed or professionally dry-cleaned. 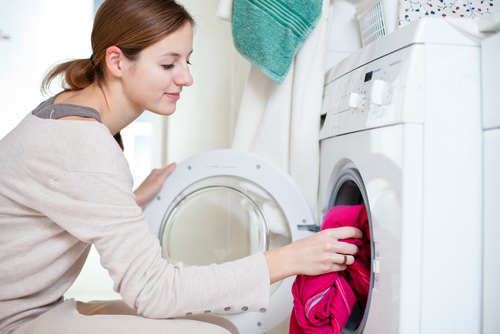 It’s also an advisable to have curtains professionally cleaned if they’re heavy – your washing machine may not be able to handle the bulk, usually when it comes to spinning. Re-hang curtains after washing to dry to help prevent shrinkage or creases that a washing line might leave. If you have curtains made from velvet soft or made of wool, they are most likely dry-cleaned only. You can dust and vacuum them to take care of the majority of the dirt but washing them will cause damage sometimes. Make the habit to check the manufacturer’s label if there is any, which should tell you whether dry-cleaning is required. 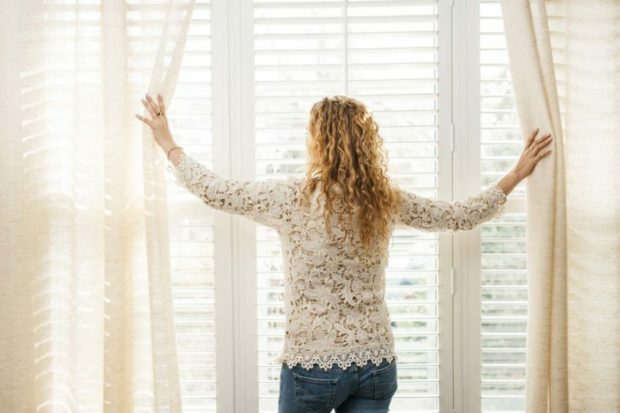 Plastic, wood or aluminum blinds are fairly easy to clean. Simply wipe down each of the slats with a damp (not soaking wet) rag or clean piece of the cloth. Roman blinds are much trickier because they have to be properly dissolved and then re-assembled after washing. You can help keep them clean in between washes by dusting, vacuuming and spot-cleaning with a damp cloth. When it’s time to have Roman blinds cleaning, we do recommend take the help of professional blind cleaners.